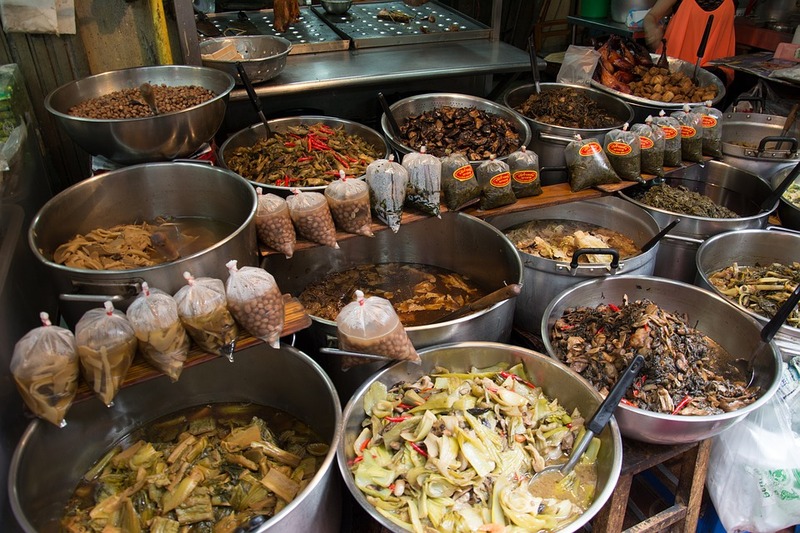 There is an overwhelming sense of magic about Thailand, from its mystifying cultures and traditions to its exotic foods, colorful people and soul-stirring spirituality. One of our preferred partners has been creating high-end, customized experiences in this amazing land for more than 10 years, boasting its most-extensive infrastructure and network of experts to provide an unmatched level of exclusivity and rarity. Making your choice of hotels completely up to you on your customized journey! Here is just a great sample of an itinerary we can put together for you! DAY 1: ARRIVE IN BANGKOK - For many travelers, Thailand is the gateway to Southeast Asia. Bangkok is a modern city that retains its authentic charm with beautiful temples, pagodas, spirit houses, historic sites, food markets and typical chaotic street scenes amidst the skyscrapers and overhead expressways. Be greeted by your guide at the airport and transfer to your desired city hotel. Enjoy the rest of your day at leisure. DAY 2: BANGKOK-Enjoy a half day tour visiting two of Bangkok’s most notable landmarks, the Grand Palace and Wat Arun, also referred to as the Temple of Dawn. Start cruising to Wat Arun, a Buddhist temple and wander around its peaceful grounds. Continue by boat over the river until you reach Ta Chang Pier and walk to the Grand Palace. Later in the afternoon, transfer back to the Lebua State Tower and visit the winning Spa & Wellness Centre. Receive a brief introduction to basics of Thai Massage and enjoy a 90 minute Thai Massage. After your massage, head upstairs to Lebua’s famous rooftop restaurant Sirocco and enjoy a tasting menu of the chef’s favorites as the night falls upon one of Bangkok’s best views. DAY 3: BANGKOK TO CHIANG RAI-Enjoy a tour of Bangkok’s various temples that will give you a new insight into Bangkok’s religious life. Stop first at Wat Saket, which dates from the 19th century. Pay a visit to Wat Suthat and its large bronze Buddha image that dates back to the Sukhothai period. The last one is Wat Ratchanatdaram which roof comprises of 37 cast iron spires in 7 tiers and is known as the Loha Prasart (“Metal Palace”). Enjoy lunch in a local restaurant and transfer onward to the airport for a domestic flight to Chiang Rai. Greet your local guide at the airport and transfer to the hotel for check in. Enjoy the rest of the day at leisure. 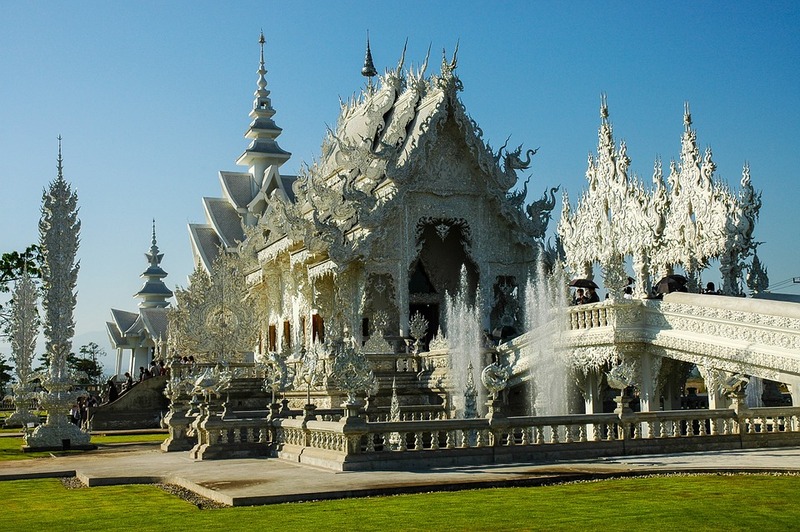 DAY 4: CHIANG RAI-Visit Thailand’s northern city of Chiang Rai that boasts a fascinating architectural history in a mix of Thai and Burmese styles. 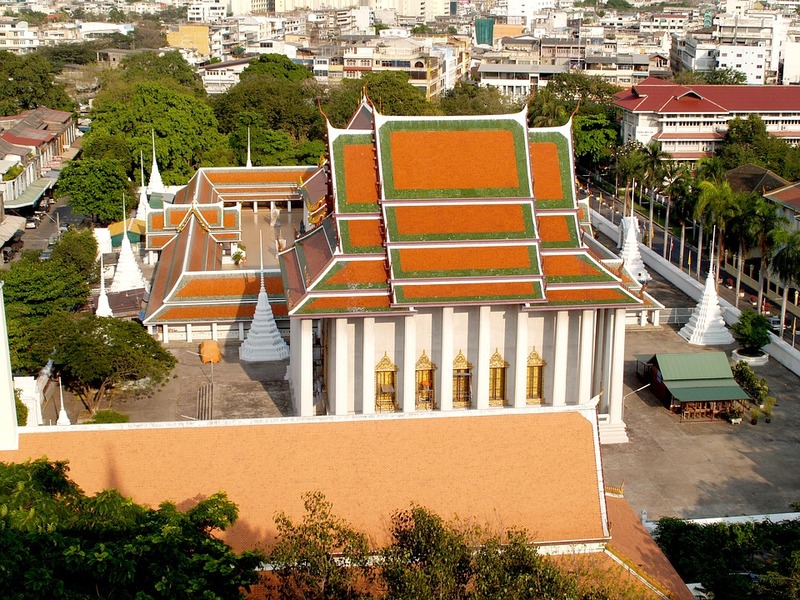 Start with a visit to the ancient temple of Wat Phra Kae, original home of the Emerald Buddha. Continue to Wat Phra That Doi Chom Thong with its large gold stupa, and then visit Wat Rong Khun with its white glass design, quite different from any other temple in Thailand. After a local lunch of Northern Thai Specialties, visit the infamous Golden Triangle, renowned for centuries as the centre of the opium trade. From a hilltop viewpoint, marvel at the splendor of the mighty Mekong joining with the Ruak to form the actual “Triangle” with Laos, Burma (Myanmar) and Thailand. 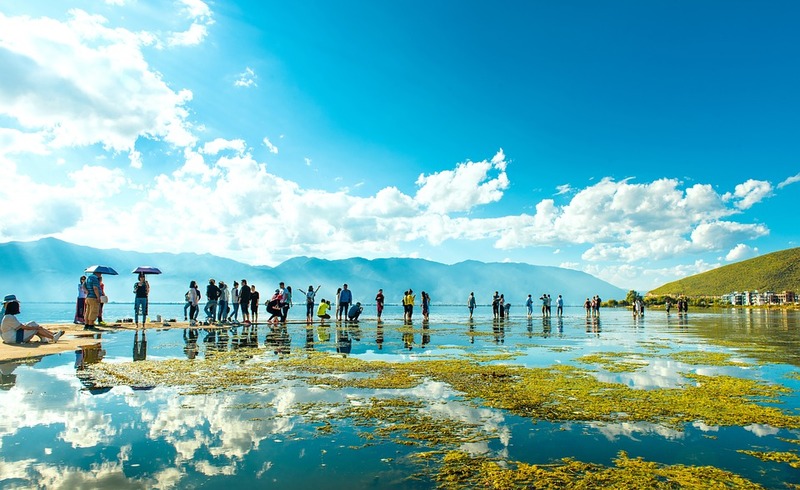 DAY 5: CHIANG RAI TO CHIANG MAI-Transfer back to the northern city of Chiang Mai with a stop on the way to visit the Akha people, who have their roots from the Yunnan region in Southern China. Then meet with the Yao people with opulent attire and gold gilded jewelry. Continue to Chiang Saen, a small crossroads town on the banks of the Mekong. 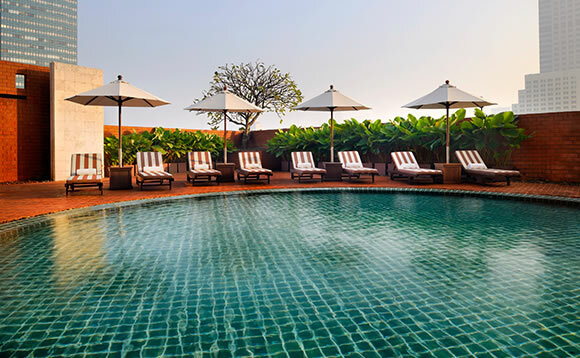 Arrive in Chiang Mai in the late afternoon and check into your hotel. Later in the evening transfer for dinner at Chiang Mai traditional restaurant and enjoy a colorful northern Thai Khan Toke dance show. DAY 6: AROUND CHIANG MAI-Your journey starts with a transfer to Wat Suan Dok, outside the ancient city walls of Chiang Mai. Continue to Wat Chedi Luang where the Emerald Buddha was once enshrined. Take the opportunity to stop at the Wats, chat with the monks and learn more about Buddhism. 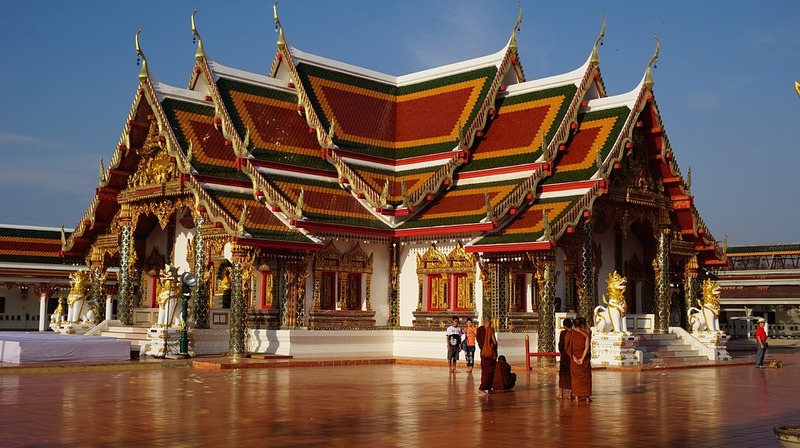 Visit Wat Phra Singh with its impressive prayer hall that contains a very sacred 1,500 year old Buddha image. End the trip with a visit to Wat Phrathat on Doi Suthep Mountain. Transfer back to Chiang Mai and enjoy a lunch of Khao Soi, a Chiang Mai specialty of rice noodles and curried gravy with chicken or pork. DAY 7: CHIANG MAI ORGANIC COOKING EXPERIENCE-Enjoy a family atmosphere and share cooking secrets with a well known local chef who set up an organic farmhouse and now takes care of a spacious garden full of Thai herbs and tropical fruits. From your hotel, first visit the local Ruamchook market with the chef; at the chef’s farm home, visit his organic garden, pick some fresh herbs and continue with a hands-on cooking experience. Return in the afternoon to the hotel in Chiang Mai. 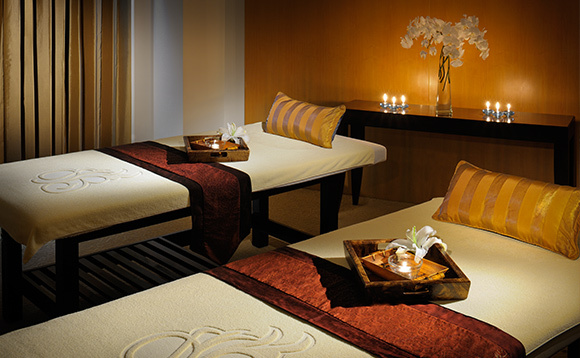 Later this afternoon, visit the Spa at the Chedi and enjoy a Northern Thailand (Lanna) style Thai Massage. The rest of the day is yours at leisure. DAY 8: DEPARTURE-Enjoy today at leisure until your transfer to the airport for your departure flight. If a fully customized journey through Thailand is on your bucket list, don't hesitate to reach out to one of our Travel Advisors - give us a call at 604-736-7447 or feel free to send us a message through our website!